Love is in the air! Valentine’s Day is just around the corner and it’s time to start thinking about what to make for your special someone. Most people go for chocolatey desserts…not my husband (tragic, I know). Every year on Valentine’s Day we choose to stay at home and after the kids go to bed, we enjoy a romantic dinner. Just the two of us. I try to come up with a new dessert that is both delicious and beautiful to compliment our meal. I think this special treat might be the one! 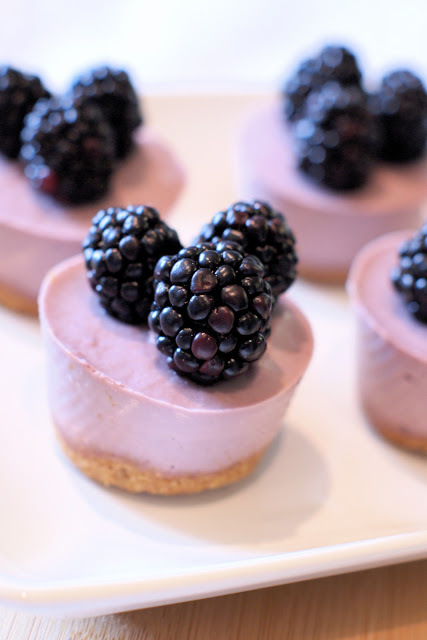 Refined sugar, gluten, and dairy free…these mini berry cheesecakes are simply marvelous! I took my recipe for vegan mini coconut cream pies and altered them into little, delightful cheesecakes. 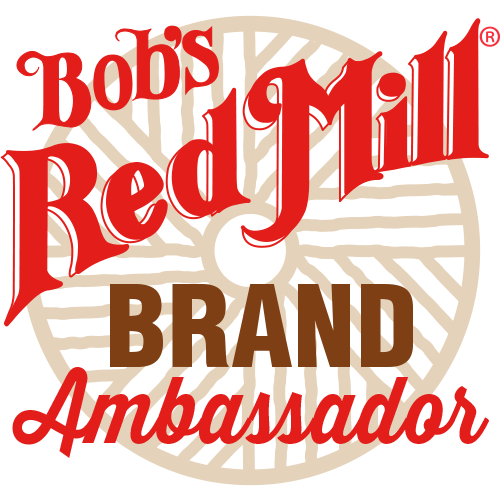 Sweetened with the delicate flavor of pure maple syrup and loaded with juicy berries. The crust is the perfect compliment, with oats and pecans. I seriously can’t stand the cuteness of mini desserts. Mini pies, mini cupcakes, mini cheesecakes. Be still my heart. What dessert will you make this Valentine’s Day to say “I love you”? These look awesome! I love vegan desserts! Thanks! I love vegan desserts too, especially when you can't even tell they are without eggs or dairy!! HI, My son is allergic to nuts so I was wondering if you know of a good alternate to pecans and the cashews? Ashley, because the base of the filling is cashews, I'm not sure there is a good alternative. It's possible you could try organic firm tofu (if you don't need to avoid soy), but I have not tried it so I'm not sure about the consistency. you could use vegan gram cracker crust. I forgot to get coconut oil and want to make these today. Any ideas on subs for the coconut oil in the filling? 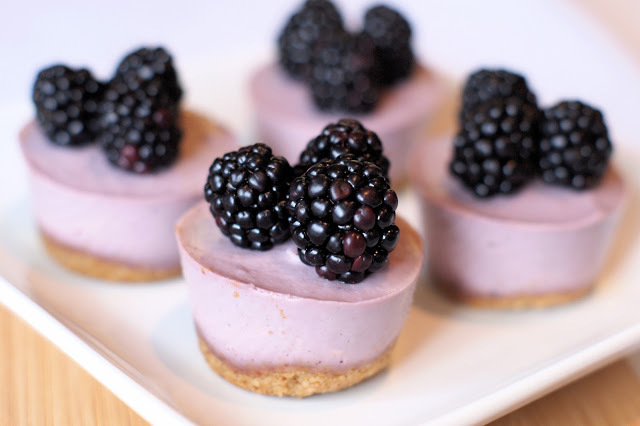 OMG, these cheesecakes make me want summer days even more. They look so very fresh and delicious and beautiful. Thank you for sharing this, can't wait for warmer days and lots of fruits and cheesecakes! looking for a great easy vegan soy or almond chocolate pudding that is old school creamy and not thick like eating blended chocolate "tofu" ( if u know what i mean ) the rice pudding seems similar to the style recipe in need. thanks. Making these right now and I'm confused where to add the maple syrup. It's in the directions twice. Does it go in the crust or the cheesecake? There is maple syrup in both. There is 2 tablespoons in the crust, then there is 1/2 cup in the berry filling. Hope that helps! I figured it out after I used the filling amounts in the crust the first time around– whoops!! I'm wanting to make this into one large cheesecake using a springform pan. Do you think that will work? Oh it would totally work! I've made it and put into two small tart pans. The filling may not be as thick as a traditional cheesecake. Let me know how it turns out! These were fantastic! The only thing I did differently, was made a dairy free whipped topping for them and so the berries had something to grab onto and stay on top of the cakes. Excellent! Would the crust be enough to fill a spring form pan? Thinking I could double the filling?? ?